The Kurtz Corner: Win a KitchenAid Stand Mixer!!! Oh boy do I have a fun giveaway for you! 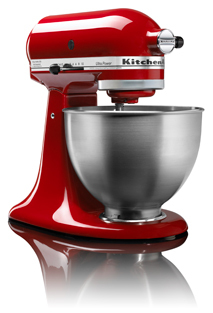 Just in time for all of your holiday baking, eReplacement Parts is giving away a brand new, beautiful, KitchenAid Mixer! You even get to pick the color! Entering is easy - All you have to do is write a post on your blog (or revamp an old one) about a DIY project you’ve done. Readers can vote for your entry once a day by clicking the “Vote for Me!” HTML button that you’ll insert into your blog post. Then, the most popular tutorial wins the mixer! This contest will end on Wednesday, December 19th. Once you have completed your post, placed the button in the post, and you are ready to enter, head to this page and click the pink “Enter Now” button. 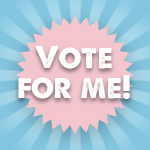 Email eReplacement Parts the URL of your blog post and your name, and they will add you to the poll so that you can start earning votes! You can promote your post however you like – so go nuts!